Established in 2008, the M.M.C.A. 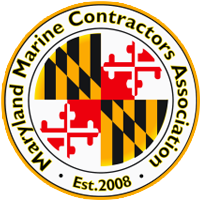 is a non-profit trade association dedicated to protecting and promoting the marine construction industry in Maryland. Our membership is comprised of marine contractors, tradesmen, suppliers, and other industry professionals who have a stake in the future of marine construction. Through leadership and unity the M.M.C.A. works with the regulatory community to achieve workable solutions to bureaucratic problems that threaten the viability of our industry. M.M.C.A. members are backed by a network of likeminded peers who provide unmatched advocacy. It is with this cooperative spirit and positive outlook that the marine construction industry can continue to prosper in Maryland. 2019 M.M.C.A. Membership Drive Runs Through April. JOIN TODAY.